Damn, there have been 43 seasons of Saturday Night Live? I have literally grown up with this show; that’s crazy. 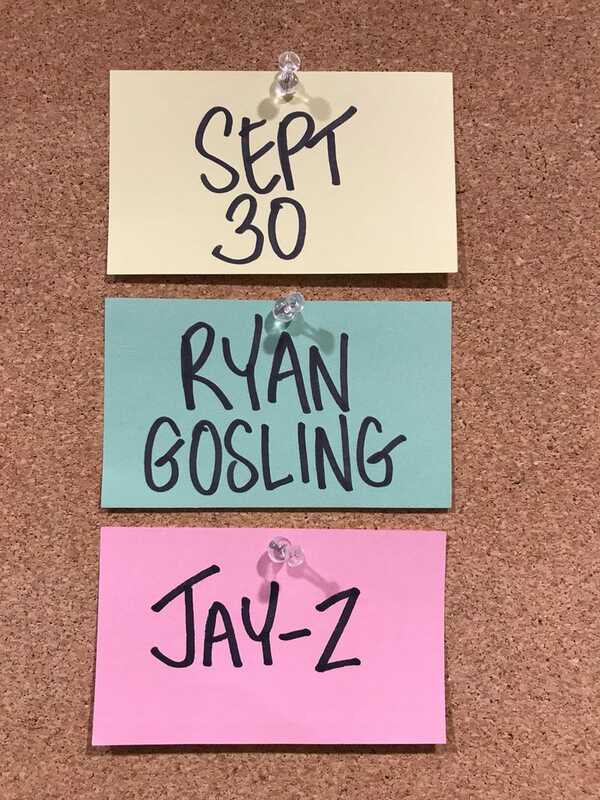 The first episode of season 43 airs Sept. 30, with Ryan Gosling as host and Jay-Z as the musical guest. The show made the announcement Thursday via Twitter. I have to stop and take this moment to tell y’all how much The Root’s senior editor Yesha Callahan really loves Ryan Gosling. She loves him. She loves him a lot. Like really, really loves him. Do y’all get it? Yesha loves Ryan Gosling. Anyway, the Gos (my new nickname for him; is anyone already using it?) has a new movie, Bladerunner 2049, coming out Oct. 6, according to the Hollywood Reporter. That’s an amazing opportunity for Yesha to see him on the big screen. Jigga just released his latest album, 4:44, on June 30, and has plans to tour later this fall. I have not yet determined how Yesha feels about Jigga or if she is even a fan. I’ll look into that. I, however, am a huge Jigga fan, and I am excited that he is going on tour in the fall because that is an opportunity for me to see him live once again. Maybe he will bring his beautiful wife along so I can enjoy her, too. Anyway, Jigga and the Gos on Saturday Night Live Sept. 30. Now hop in the comments and tell Yesha how hot you think her future boyfriend is.